Services for former Grace Brethren pastor, Daniel Wayne Thompson, will be at 4:00 p.m., Tuesday, March 7, at Sugar Hill Church in Sugar Hill, Ga. A webcast of the service may be accessed at sugarhill.church. Dan died February 23, 2017. He was diagnosed with melanoma cancer in 2015, and though treatments were greatly improving his cancer, due to his weakened condition, he had a massive heart attack on February 21 and died two days later at the Atlanta VA hospital surrounded by his family. He was born January 30, 1949, to Robert W. (Bob) and Betty Thompson. In 1971, he married Jackie Frushour. 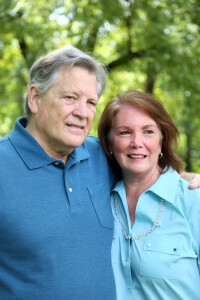 He and Jackie ministered in Grace Brethren churches in Florida, Michigan, and Georgia during the years of 1984 – 2015 as both church planter and pastor. Most recently, he was on staff at Sugar Hill Church in Sugar Hill, Ga., and was teaching Middle School and High School History and Worldview classes at Artios Academies in Sugar Hill. He served in the U.S. Navy from 1968 – 1972. In addition to his wife, Jackie, he is survived by three daughters and their spouses: Danielle and Kevin Sterner, Summer and Jason Sterner, and Windy and John Lane, all of Sugar Hill, Ga.; 11 grandchildren; his sister, Linda Hart, of Long Beach, Calif., and his mother-in-law, Ida Frushour. Burial was at Georgia National Cemetery, Canton, Ga., on February 28, 2017. A GoFundMe site has been established to help the family with expenses. Click here for more information.